How to Deliver Feedback to Students Who Cry, Yell, and Get Defensive! by For High School Counselors.In Minute meetings, negative feedback.Leave a Comment on How to Deliver Feedback to Students Who Cry, Yell, and Get Defensive! The student had aspirations to excel during her senior year by taking as many classes as she could possibly fit into her day. To do this feat, she would have to pack her schedule with additional classes outside of the regular eight period day that our district provides. Instead, the student wanted to take eleven classes; however, her counselor was against the student taking that many courses (particularly during her senior year). Not only was the student upset that the counselor advised her against taking three additional classes during her senior year, but she was upset that she would be charged for taking those extra classes that we would provide for her online (normally, if a student takes an online class as one of their eight classes then they are not charged). So, this student was feeling stifled and she was defensive about paying additional money during her senior year. Definitely, she was ready to rumble and it was going to be with me. As predicted, the phone rang and it was the defensive student. So, have you ever faced a situation where you are just minding your own business and a colleague or administrator sends an angry student or parent for you to handle? Of course, you the the school counselor and can fix anything (right!). Well, since this happens on a regular basis, I thought I would provide you with some tips on how to handle giving feedback to angry, defensive, and emotional students. Part of our role as a school counselor is to provide feedback to students regarding their academic performance, post secondary goals, and social-emotional behaviors. Most often these conversations with students are pleasant and productive, but now and again they can be,…well nasty. As a professional, it is imperative that you develop the skills and ability to deliver feedback to help your students grow and achieve their potential. To be honest, I do not like to give negative feedback! However, studies have found that even though we don’t like to give it and people don’t like to hear it, people want it (see the study from Harvard Business Review below)!! Amy Jen Su wrote an excellent article on how managers can give productive feedback to employees who cry, yell, and have emotional tirades. I thought the information from this article could easily be adapted to professional counselors who need a quick tutorial on giving negative feedback. 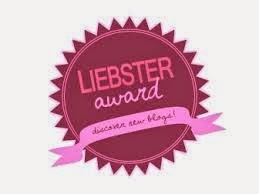 I am not trying to be a “Debbie Downer”, but I always prepare for the worst and hope for the best. One way to prepare is to be aware of your own adverse reactions to emotional responses by students. For instance, do you sugar coat information for students to spare their feelings, do you argue back, do you hold up your hand, or do you shut down? Since students and parents often come to us with a fixed mindset, it is often fear that drives their strong negative reactions. Be prepared to provide observations, evaluations, data, and concrete examples to challenge those fixed mindsets and to promote a growth mindset. Responses of a fixed mindset include defensiveness, lack of responsibility, excuses, and hiding. Often, we allow conversations to end with an emotional reaction that can produce anxiety and negative feelings for students. 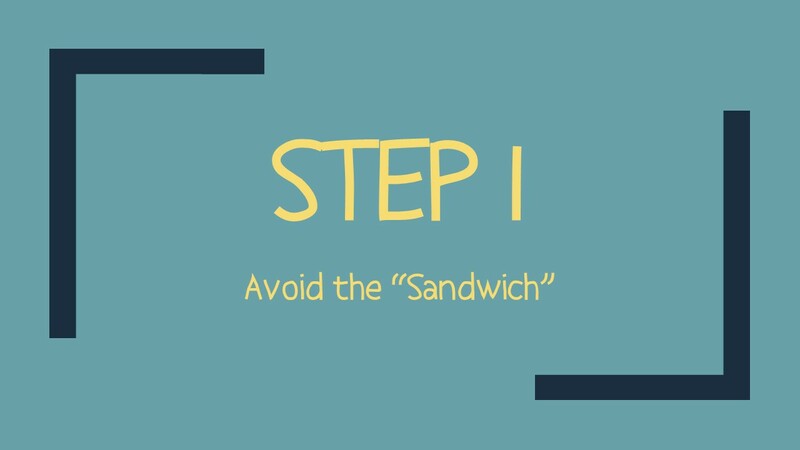 Let the student know that he or she may not agree with the information given at the time, he or she may not have the capacity to have a conversation at the moment, but you are willing to give the student an opportunity to come back to you to process the information, thoughts, and feelings about your feedback. 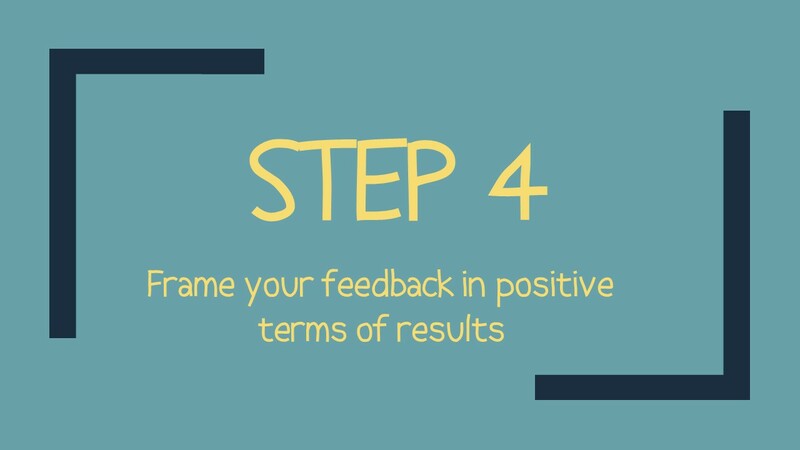 Sarah Greene Carmichael gives some useful steps on how to give negative feedback to others. Don’t dilute your negative feedback with compliments which can sound insincere and meaningless to your students. Professor, Carol Dweck found in her research that when we offer platitudes to students they should include praises of their efforts and not their abilities (remember the fixed mindset of most students?). To promote a growth mindset, we should praise efforts, persistence, determination, and strategies rather than intellect, abilities, and talents. When you meet with your students regularly, it makes it easier to share feedback with them. One great way to meet with your students is to set up a minute meeting. Never heard of a minute meeting? Danielle Schultz from the School Counselor Blog wrote a great article about how to meet with all the students in your caseload to check in with them over the year. Each year my goal was to meet twice a year with my students. 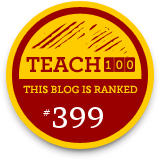 Believe me, it made a huge impact on forming positive relationships with my students! 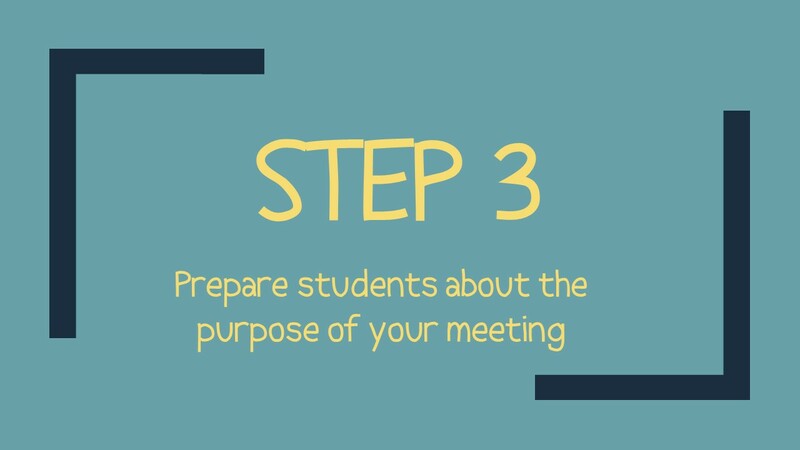 Let students know the purpose of your meeting. For instance, if you are going to meet with a student about an academic concern let them know a little about the meeting ahead of time. I know this is not always possible, but if you can prepare your students it makes the meeting go much better and reduces the anxiety for the student. For instance, if I have to give negative feedback, I will tell the student that he or she is not in trouble and my role is to keep them out of trouble. I will give a brief preview of our meeting and outline the objective of my involvement and possible outcomes. Although your message may not be positive, you can frame your critique in terms of positive behavioral results. For instance, if the student is not performing well in a class and the teacher expects a certain behavior, ask the student what outcome he or she would like to achieve. Remember to keep on your listening ears as students will often get defensive, yell, or withdraw. It is important to let the student know that you are his or her biggest advocate and part of that advocacy is to be an agent of reality. Also, to promote a growth mindset, Carol Dweck says that we need to help our students grow, stretch, and feel uncomfortable with setbacks. How to Talk to Students Who Cry, Yell, and Get Defensive? 1. Let the student know that you are not being mean and your purpose is to help them become successful. 2. Deliever the feedback close to the end of the day so that he or she does not shut down in class. 3. Have tissues available (very important). 4. Offer to meet again to check and follow up on the student. 1. Stay calm and avoid firing back. 2. Be willing to stop a meeting that is not productive and invite him or her to come back at another time. 1. A defensive student wants to avoid responsibility. A good response may be, “I see that this is your responsibility–let’s talk about why you feel this is not the case”. 2. Show the student that shifting responsibility puts him or her in the role of the victim and why that is not helpful for success. So next time you are giving negative feedback to a hostile, upset, or emotional student, I hope these tips may provide you with the confidence to share negative feedback effectively. If you try these strategies, I would love to hear how they worked for you! !